Mr. Kakakhel has been an active member of the civil society from a young age, at the age of 18 He was offered a commission in Pakistan Air force and remained a flight lieutenant for some time. He have aced throughout his academic career. His professional career includes his candidature for the post of President of Pakistan, contested against General (r) Pervez Musharraf. He has been involved in many trademark cases of the country, and have hundreds of reported cases in his name. Members of the National Assembly, Provincial assembly and judges of the courts regularly seek his advise in personal and professional matters. Mr. Kakakhel was the youngest Supreme court lawyer to receive the title of Senior Advocate of the Supreme Court of Pakistan (a title conferred upon the most experienced and seasoned litigators appearing before the Supreme Court of Pakistan which is equivalent to Queen’s Council.). He have spoken in and attended many national and international conferences. The services of Mr. Kakakhel are recognized and recommended by YFLR1000 and is consistently being ranked as ‘Leading Individual’ of Pakistan since 2012 till date by Legal 500. President of Pakistan Jurists Association. Member of International Bar Association, London (UK). Member of World Jurist Association (US). Senior Advocate of the Supreme Court of Pakistan (a title conferred upon the most experienced and seasoned litigators appearing before the Supreme Court of Pakistan). Legal 500: Leading Individual‘ in Dispute Resolution from 2012-2017. Constitution of Islamic Republic of Pakistan (Four Volumes). Published by Excellent Publishers, Lahore. Companies Laws. Published by Khyber Law Publishers, Lahore . Laws relating to cross examination in the trail courts. Mr. Kakakhel article was published in Foreign Broadcast Information Service on ( 50th Anniversary 1941 – 1991 ) JPRS REPORT ( Near East & South Asia ) amongst few articles from the World on Prisoners of War.. Currently representing the Hostels Association of Khyber Pakhtunkhwa before the Supreme court of Pakistan who have challenged the law whereby Hostels are not allowed to operate in the residential areas of the Province. Successfully challenged Khyber Pakhtunkhwa Medical and Teaching Institutions Reforms Act, 2015 before the Peshawar High Court under Article 199 of The Constitution of Islamic Republic of Pakistan, 1973. Successfully challenged Khyber Pakhtunkhwa Economic Zones Development and Management Company, and the dissolution of Sarhad Development Authority and the merger of its assets in KPEZDM. First the Act of the parliament was declared null and void by the Peshawar High Court, which was followed by an Executive Order of the Governor Khyber-Pakhtunkhwa which too was successfully challenged resulting in the Chief Justice giving the employees and assets protection of the Court. Handled Election matters of numerous Members of the Federal and Provincial Parliament which resulted in the Court allowing to contest the general elections of 2013. Counsel of Sardar Mehtab Ahmad Khan Abbasi, (Former Chief Minister NWFP, Former Minister for Railway and Former Governor Khyber Pakhtunkhwa), before the Peshawar High Court, Peshawar challenging his arrest as chief minister by army and the military take over of the government by General Pervez Musharaf, The President of Pakistan. Counsel for Mr. Gorsaran Lal, Molana Dildar, Begum Rukhsana raz, Yasmine Khalid, the members of provincial assembly compulsorily removed from the assembly filed writ petitions through Mr. Kakakhel in the Peshawar High court. The M.P.As were reinstated by the High court. 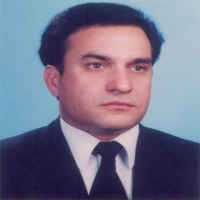 Counsel for Deputy speaker of provincial assembly NWFP Mr. Ikram ullah Shahid had also challenged his removal from the post of deputy speaker NWFP. The honorable High court restored him to his job . Constitution petition for separation of Judiciary from the Executive, Political cases, inter-Alia, those of Ex. Chief Ministers like Inayatullah Khan Gandapur and Pir Sabir Shah, those of Ministers Like Shabzada Salahuddin, Ghani-ur-Rehman and others. Murder Case of Allama Hussaini (for some accused) in which General Fazal-i- Haq, the late governor of N.W.F.P was the Principal accused. Legal Advisor of numerous Companies/ Corporations and Government Departments.